Cervantes's story of the bumbling knight Don Quixote has inspired countless artistic interpretations. Marius Petipa choreographed this sparkling ballet about the encounters of the man from La Mancha and his faithful squire Sancho Panza. At its heart are virtuoso roles for the lovers Basilio and Kitri. 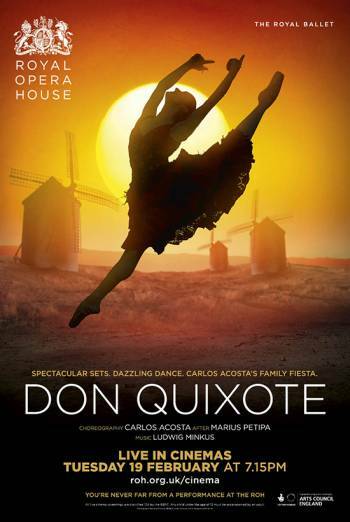 This is the encore screening of The Royal Ballet: Don Quixote. If you wish to see dates and times for the live performance please click here.